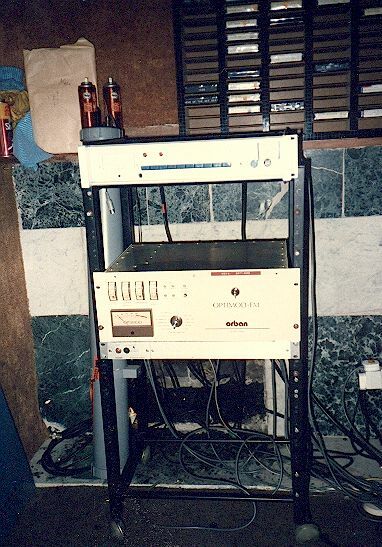 Magic 103 was an offshoot from Radio Nova and broadcast on 103.5MHz in stereo, and 1521kHz / 199 metres medium wave. 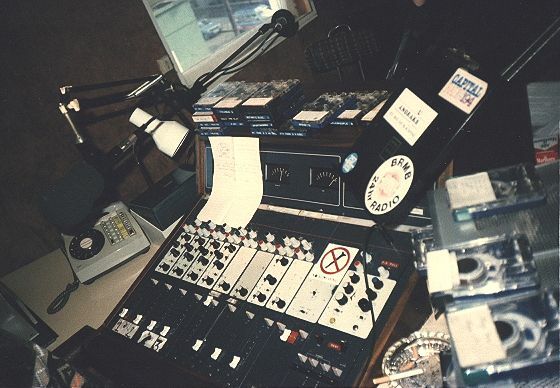 It began broadcasting around April 1985 from studios in Leeson Street and the staff included many of the journalists who were in dispute with station owner Chris Cary. 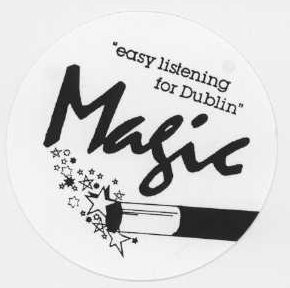 The station had a more easy listening format than its bigger brother Radio Nova, and with the influence of the many journalists, featured much more local news and information for the Dublin area. Magic 103 continued until the middle of September, when it closed down. Thanks to Paul Buckle for allowing us to use his Magic 103 photographs below. Paul used to have a resource on the web at an NTL page but it has long since gone. 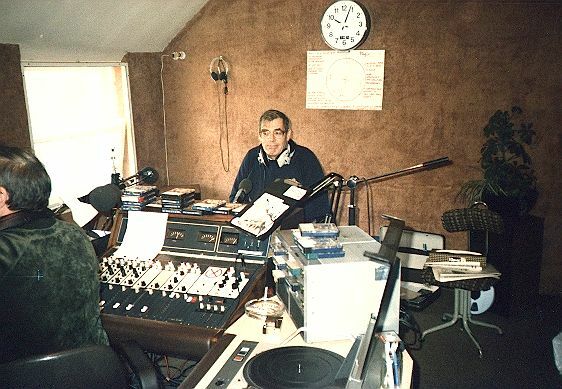 The Magic 103 studio in Leeson Street, including Bob Gallico having just finished reading the 10am news. 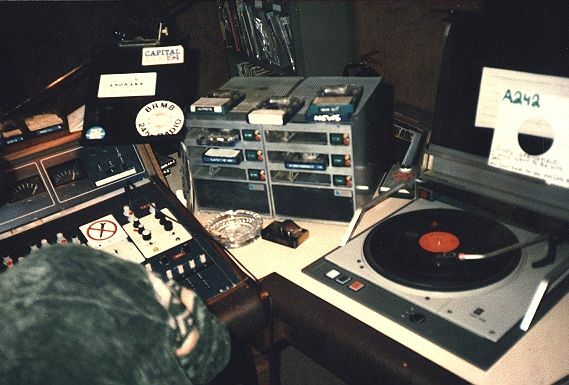 high quality record decks used by the station. 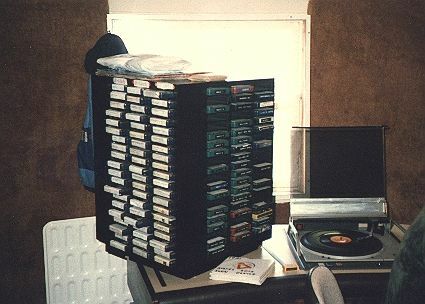 The left hand side of the mixing desk with a rack of cartridges.